So you've met Shelby and Cecily, now meet Darla! 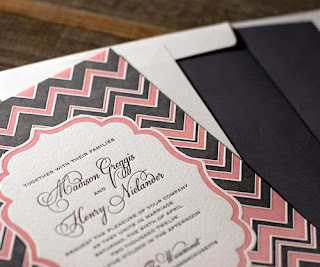 I was very much inspired by Missioni chevron knitwear for this invite design. 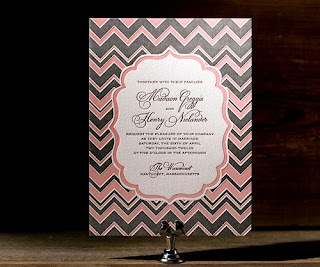 Because letterpress itself is a very tactile sort of printing, I really felt like it added something even more textural to the design (if that makes any sense). 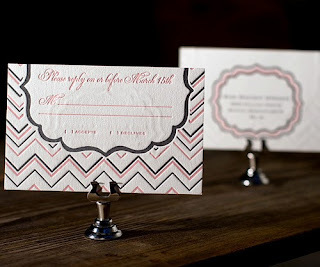 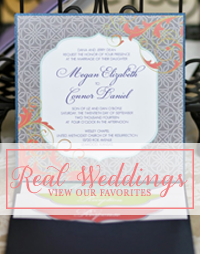 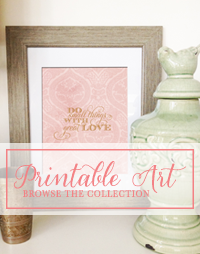 I love when invite suites include postcards...such a modern twist to add to an invite set.